Can't wait to show you the real shizzz, cuz it's totally mind blowing! P.S. Dan, I'm so impressed with our shoot I don't know how the heck we are going to edit it down to just a few shots!!! The other day I had the privilege of previewing the Nars Fall launches and I'm very excited to report back to you! 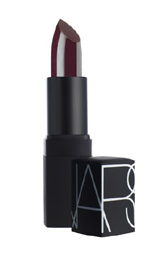 they are offering an amazing sheer mulberry lip color called Fast Ride that's simply to die for. They also have two new foundation formulas (one of which is matte) with a wide range of color choices. 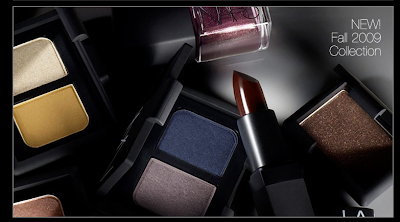 I've always been a big fan of Nars products, but they seem to really be taking it up a notch and I love that they are reaching out and supporting artists. P.S. They also have a new eyeliner stylo that is a shade of blue I've never seen before. It won't be available until September, but I can't wait to get my hands on that too! 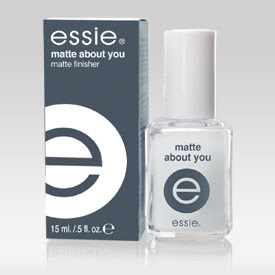 I have it on good word from the amazing Miss Kimmie Kyees that essie's matte about you is totally amazing! I've tried a few of the new OPI matte varnishes and I haven't quite decided if I love them or not (I loved the navy, but not the green). I'm really looking forward to trying this top coat as an alternative! P.S. I've been having a lot of fun on tumblr lately, if you haven't checked it out yet, GO NOW! In the past I've given you guys some great advice on building up a make up kit on a budget, but I've never really touched on a men's grooming kit. As far as products for the face such as skin care, concealers, and powder, it's totally acceptable to use the products you already have for doing make up on women. But since clients do not typically hire separate hair and make up artists for shoots with men, you will need to add some basic hair products to your kit. 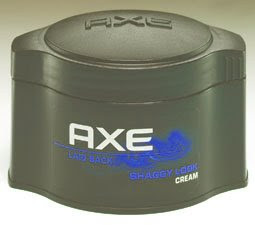 Great hair products can get pretty pricey, but Axe has created a line of hair products for men that are high quality, accessible, and affordable! They've also made it easy for people who aren't experienced with hair product to know which one to use by telling you the look it creates right on the packaging! All of these products should be readily available at your local drug store, and it is a great and affordable way to be prepared for any hair situation! I've always wanted to get facial peels but they're so expensive, and you need to get a series of them to really see results. Thanks to the Kinara Red Carpet Facial Kit, all of that has changed! I've been using this mild, yet effective peel for a week straight and my skin hasn't looked this great since sometime before I hit puberty! The kit comes with easy to follow instructions, and they've made it so convenient by providing a bowl and brush for you as well! 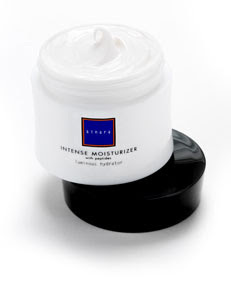 The sample packs of moisturizers included in the kit are really only good for one or two uses, so if you're really going to commit, I suggest buying the full size of those as well. and Kinara Lactic Acid Hydrating Serum for normal to oily skin. It's a great investment in your skin, and so much more cost effective than getting a series of peels at your local salon! When I get asked about make up, the question I get asked the most is "what's your favorite mascara"? 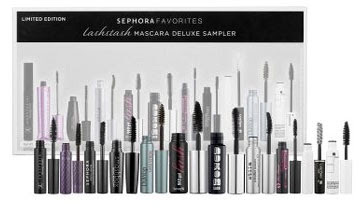 Sephora has come up with a great way for you to discover for yourself what mascara you like best! The set is only available while supples last, so don't miss out on this amazing opportunity to sample all of these great mascaras!!! Are you on tumblr? 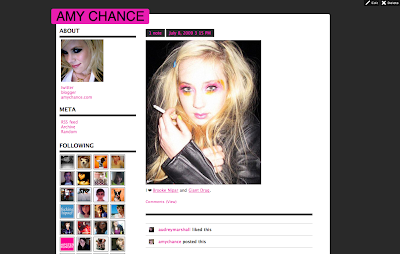 Find me at amychance.tumblr.com. Is it any coincidence that Illamasqua is launching at Sephora.com on my birthday? I have told you before about Jemma Kidd's JK line for Target, which is a great and affordable way to build a make up kit with quality products. 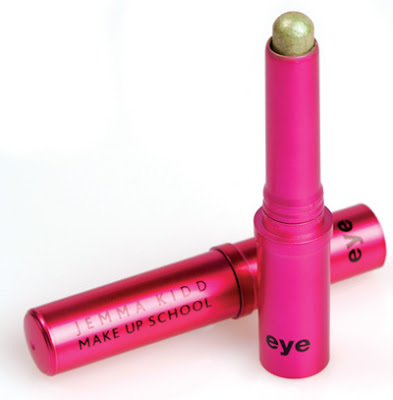 I was recently lucky enough to be introduced to Jemma Kid Make Up School, the higher end Jemma Kidd line sold at Neiman Marcus and Space NK. I am so privileged that I have access to so many amazing cosmetic lines, but I have to say the products I am using from Jemma Kidd Make Up School feel like they were made with my specific needs, taste, and aesthetic in mind. The first stand out product is the STAIN, FLUSH & GLOSS LIP & CHEEK DUO. I am a big fan of using lip and cheek stains to achieve a natural look that still pops on camera. Sometimes I will just dab a bit of lipstick in the center of the lip or on the cheeks with my fingers. I used this lip stain for a cover shoot on Thursday. I did a dramatic smokey eye with dewey, highlighted natural skin and a stained lip. Everyone complimented me on how great the make up looked, and even straight men were telling me they love the "subtle lip". Now THAT'S a compliment! 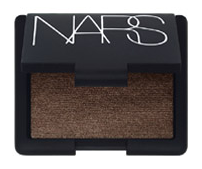 Unlike many creme shadows, it lasts without creasing and is highly pigmented for a great color payoff. You can build the color for added drama. Water and smudge proof (although I don't mind a smudged eye liner! ), it applies effortlessly with a silky texture and comes in a great range of colors. I really love the purple one called "Peacock"! Absolutely amazing shimmery shades to achieve a perfect red carpet look! Very wearable and long lasting, and like a lot of Jemma's products, it has anti aging benefits! This is a beautiful, creamy concealer that is also an eye "treatment". 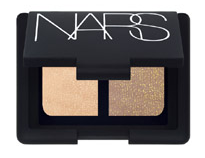 The shades brighten the eye area while working to diminish fine lines and puffiness. Available in 3 shades, light, medium, and dark... they are highly blendable and create a beautiful highlight. 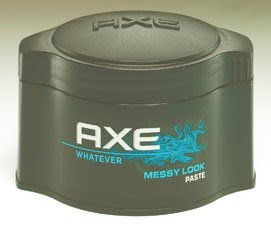 I told you these products were made for me! A lot of the products are infused with jojoba oil, minerals, and/or vitamin E so they pamper your skin, and since Jemma Kidd is a make up educator, all of the products come with a little "make up lesson"! Sometimes it seems like everything has been done before. That's why I appreciate innovative products that are changing the way we do make up. For me, right now, that includes Benefit, Beautyblender, Tarte, and now I'm adding Jemma Kidd to that list. Check out the Jemma Kidd website for some really great "backstage tips", and register for their email newletter to hear about all of their great products and be sure to let me know what you think!